The reason many of us seek out vacation rentals rather than hotels is our hunger for unique experiences. The travel bug bit once and the mark has never gone away. And we can remember the people we met, the music we listened to, the landscapes we looked out at. These sojourns are so amazing, and somehow resorts get in the way of the experience. A vacation feels more like an opportunity to discover another culture and its story, to relate, to bond with others. 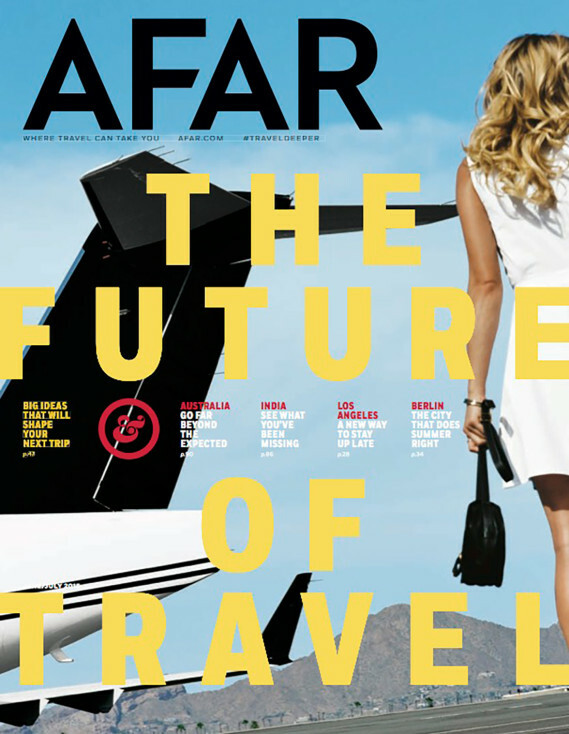 For these reasons, I am increasingly impressed by the writing I find in the pages of AFAR Magazine, a resource online and in print for vacationers in love with experiential travel. If you aren’t familiar with the magazine, OneRooftop would like to give you an overview of some of the magazine’s coolest features and why we think you should look into it for inspiring your next vacation. You can think about your planning in two ways. Find your interests, and then choose a place. Or, you can do the opposite: pick a place, and then decide what interests you most. You sign into AFAR with Facebook and then can start creating itineraries for yourself. Like, right now I have a ski resort in the Czech Republic saved to my trip “One Day”. It sounds random. But let me tell you how I heard about this place. If you’re not sure where to go, AFAR has a simple question. What do you like to do? Answering that question, you can figure out pretty quickly what destination is for you. The online features let you start with this simple question and work your way to the perfect city. That’s what I did. I looked into their “Off The Grid” section, and then found a list of ten off-the-grid ski spots. I wasn’t aware that hidden ski spots were a thing. (Not to mention there could be ten of them.) But you can do this with any interest. AFAR’s online planner is really one of the best-curated travel magazines with tons of activities to save to your trips. Another fun thing is their “Journeys” section where they give you itineraries of really cool, unique trips, along with an estimate of how much the trip should cost. You can also submit some basic information (what kind of budget you’re working with, when you want to go, and what matters most to you) and get a personalized recommendation. It’s okay if you know already where you’re going but aren’t sure yet what to do when you get there. You can get local travel journalists to inspire you: where your day trips should be, where to linger, how to learn, what to eat (everything from street food to luxury dinners), and why that place is right for your vacation. Go to the “Destinations” tab and select the country or city of your choosing. Whether you’re going to Buenos Aires or Copenhagen, you can find tons of cool stuff to do once you arrive. Personally, I really like the “Know Before You Go” tab you’ll find in city and country profiles. You can get really helpful insights for your vacation planning there and start figuring out all the details of your trip. AFAR isn’t just a guidebook. It really is a magazine with real writers who are thoughtful about travel. (Dave Eggers wrote a piece for them.) I think their feature articles are so much fun to read, even if I’m not actively planning a vacation. It satiates my wanderbug feelings while I save money up for next time. This is what I think: people who like to read should read AFAR. If I could make one recommendation to AFAR it would be to add the ability to book vacation rentals in addition to booking hotels. I mean, look around their site. Don’t vacation rentals seem like the perfect fit for people who want to engage in culturally immersive travel? Using AFAR’s tools doesn’t necessarily marry you to booking a hotel, however. So, one day, when I finally get off the grid on a powder day in Mamenka, Pustevny in the Czech Republic, at the end of the day I’ll be putting my feet up by a fire in a vacation rental, eating some vepro-knedlo-zelo I prepared myself.